Judi Hyde has been with the Florida’s Problem Solving/Response to Intervention Project since it began in 2006. She has worked on numerous grants with the Insitute of School Reform, University of South Florida since 1996. As the PS/RtI Communications Coordinator, Judi regularly shares information and resources with Project personnel and Florida school districts. She is the Project webmaster, designs numerous online surveys, and assists Project personnel with desktop publishing. 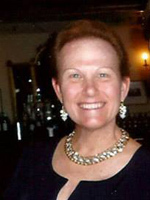 Prior to coming to USF, Judi worked in Hillsborough County Schools' Department of Student Services as a Project Coordinator for the Robert Wood Johnson Teaching Strategies grant, the Shared Services Network project, and SEDNET. Judi also has experience as an elementary classroom teacher.